The Liberty 2-3/4 in. Polished Chrome Pull is a blend of traditional and modern styles. It features a 2-3/4 in. center-to-center, rear-mount design for easy installation. The metal base material features a stylish polished chrome finish. The Liberty 2-1/2 in. Satin Nickel Plain Cup Pull adds an updated accent to traditional or casual home cabinetry or furniture. It features a 2-1/2 in. center-to-center, rear-mount design for easy installation. The metal base material is built for durability and is coated in a fresh satin nickel finish. 2-3/4 or 3 Newton Pull, 1 per package The Liberty 2-3/4 in. 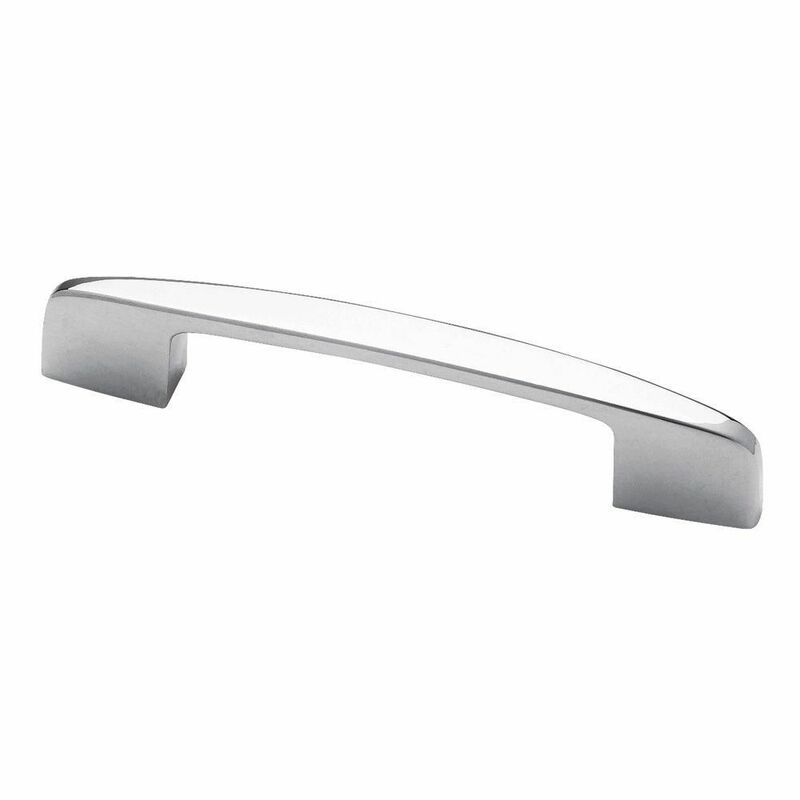 Polished Chrome Pull is a blend of traditional and modern styles. It features a 2-3/4 in. center-to-center, rear-mount design for easy installation. The metal base material features a stylish polished chrome finish. 2-3/4 or 3 Newton Pull, 1 per package is rated 4.4 out of 5 by 29. Rated 3 out of 5 by AB Sk from Nice clean look We’re quite pleased with these drawer pulls. They are nice and shiny. Plus I have old cupboards and these are the only 2 3/4” pulls I could find anywhere. We ordered a few extra (needed 30) and that was a good idea because one or two had small blemishes that would be visible. This way we have spares should something happens. Rated 5 out of 5 by litlnemo from I am doing a retro mid-century kitchen and these were a perfect design -- mid-century-looking, cl... I am doing a retro mid-century kitchen and these were a perfect design -- mid-century-looking, clean lines, etc. I needed chrome and there were exactly 5 in the bin at the local HomeDepot, among a ton of brushed nickel ones. (At least one was a brushed nickel one in a package marked with the chrome item code! Good thing I looked closely.) Anyway, once I got my 5 chrome pulls -- exactly the number I needed -- I installed them and they look great. Good price and I am happy with them. Mine are installed at the 2.75" width but they can also be 3" because of the extra hole on the back. Rated 5 out of 5 by Ronnie from Worked great, had no trouble whatsoever. ... Worked great, had no trouble whatsoever. Rated 5 out of 5 by AL from Very happy with these they look excellent. ... Very happy with these they look excellent. Rated 4 out of 5 by Dee from The handles we wanted would not lay flat against the... The handles we wanted would not lay flat against the doors, we got the Liberty Newton, they are simple but look nice. Rated 5 out of 5 by chewynymph25 from Looking for a 2 3/4 Cabinet Pull I stumbled on to these. They fit perfectly no need to redrill any holes. They made my cabinets look great. Quality product. Very pleased. with my purchase.